Everything from sink drawers to corner drawers, and most everything in between. Sink drawers are specifically made to avoid plumbing under a sink, which still allows for maximizing the under sink space. 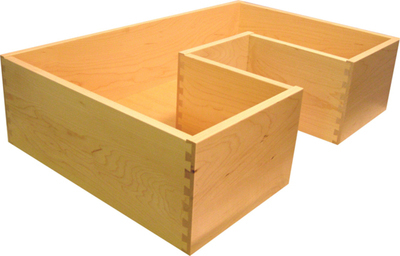 Additional dimensions are needed, as these are custom made drawers to fit your application. THIS PRODUCT IS ORDERED UNDER THE SPECIALTY DRAWER SECTION ON THE ONLINE QUOTE SYSTEM. Each L shaped drawer will be custom made to to the given dimensions. The (R) Drawer has a square cut out on the right hand side, as you look at the drawer. To order, enter the full width, depth and height of the drawer. Then in the two additional dimensions (A-front to back dimension, and B- the lateral dimension) enter how much should be cut out. THIS PRODUCT IS ORDERED UNDER THE SPECIALTY DRAWER SECTION ON THE ONLINE QUOTE SYSTEM. 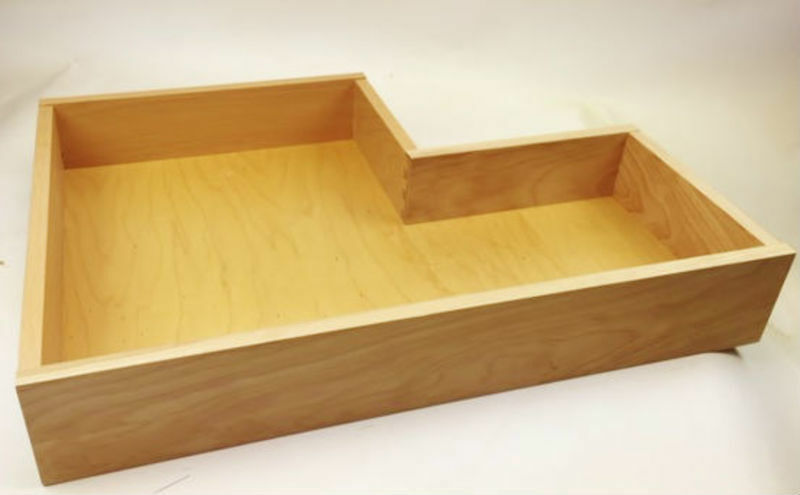 Each L shaped drawer will be custom made to to the given dimensions. The (L) Drawer has a square cut out on the Left hand side, as you look at the drawer. 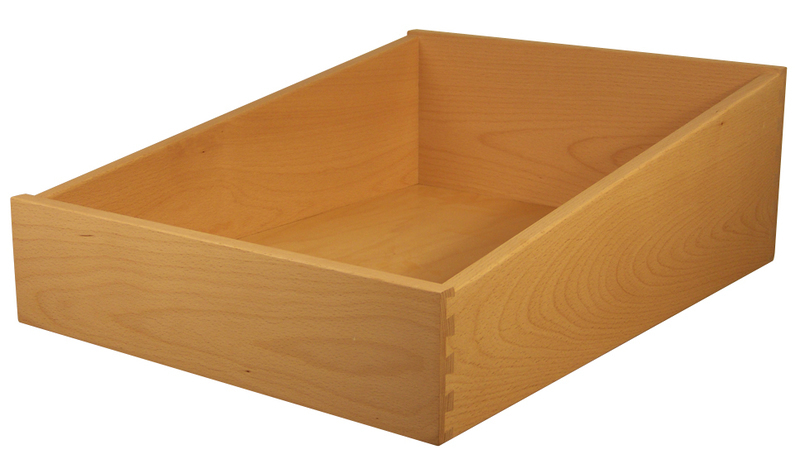 To order, enter the full width, depth and height of the drawer. Then in the two additional dimensions (A-front to back dimension, and B- the lateral dimension) enter how much should be cut out. THIS PRODUCT IS ORDERED UNDER THE SPECIALTY DRAWER SECTION ON THE ONLINE QUOTE SYSTEM. 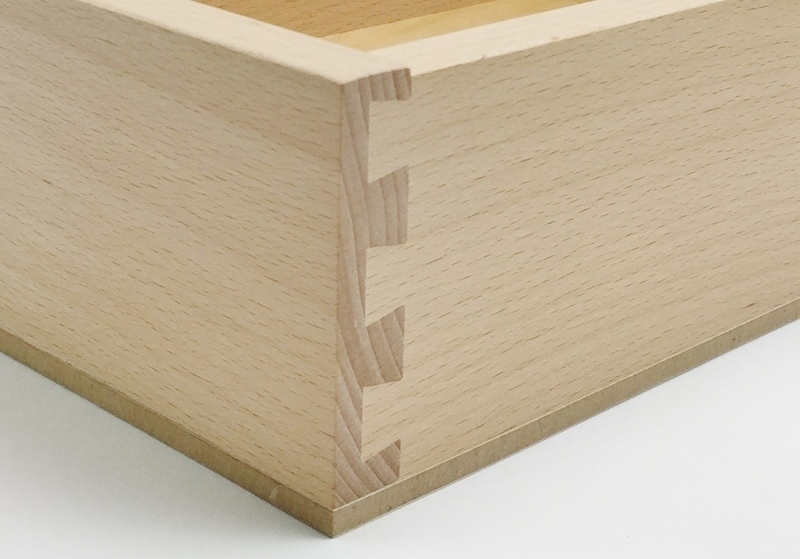 Our basic corner drawer construction has dovetail joints on back and inside corners (3) front corners (2) are mitered and screw fastened. Front lateral divider is loose so drawer box fronts are accessible for attaching drawer front. Custom sizes are available. Complete, assembled, and ready to install. Available in all woods. **We offer corner drawers for both undermount slides and side mount slides. Be sure to check which one you are ordering, depending on your application. ** THIS PRODUCT IS ORDERED UNDER THE SPECIALTY DRAWER SECTION ON THE ONLINE QUOTE SYSTEM. Directly applied bottom drawers have the bottom stapled directly to the bottom of the sides of the drawer. The thickness of the bottom does not add height to the drawer, we simply account for the bottom during the production process. THIS PRODUCT IS ORDERED UNDER THE SPECIALTY DRAWER SECTION ON THE ONLINE QUOTE SYSTEM. Printer/Keyboard rollout tray for undermount slides are made with 3/8" maple or beach veneer platform set in a 5/8" hardwood or Baltic birch plywood dovetail frame. Height of tray is 1 1/8" and platform is inset down 1/4" from top edge. THIS PRODUCT IS ORDERED UNDER THE SPECIALTY DRAWER SECTION ON THE ONLINE QUOTE SYSTEM.